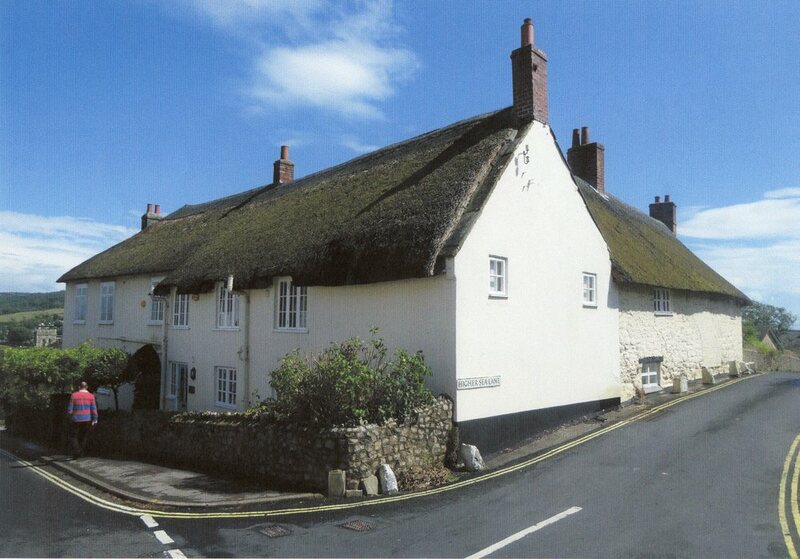 Charmouth House presents itself as a large imposing thatched building on the corner of the Street and Higher Sea Lane. As with many of the larger properties it possesses a long and interesting history stretching back to the years when the village was under the ownership of the Monks of Forde Abbey. The existing building is thought to have consisted of two houses and stabling. A description of the construction of which can be read in Peter Press's excellent article in The Village Echo for the Summer 2005 when he was able to see the inside whilst it was being converted from a Hotel into four dwellings. It revealed the building to be over 500 years with a magnificent moulded beam Ceiling and Fireplace in the former Reception area and a Plank and Munting Wall in the Scott's part. This screen is composed of large vertical timbers with planks in between and is dated to c.1500. It would confirm the belief that Charmouth prior to the dissolution of 1539 under the auspices of Abbott Thomas Charde was prospering with The Manor, The Queens Armes (Abbots House) and the Church containing fine features from this time. 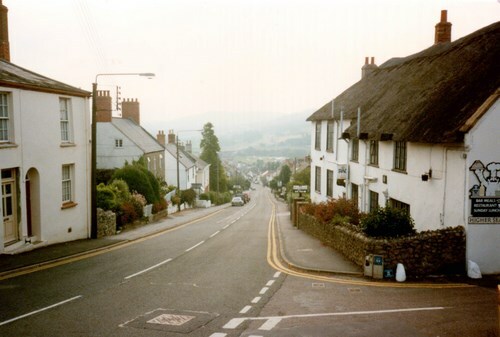 An earlier Abbot, simply known as William had created a borough in the manor of Charmouth between 1290 and 1297. A detailed description of the boundaries can still be seen in the ancient ï¿½Cartulary kept at Forde Abbeyï¿½. ï¿½thence along the road ascending to le pillory and then to the cross which stands on the road to Lyme above Radehorne, on the west side of the vill as far as le Shoete by the corner along the ditch to the bank adjoining Sevenaker on the north side. The Shoete refers to a small conduit by the road, which would have sent its water on to a stream. Even today the remains of a stream can be located in places along higher sea land leading to the sea. It was this ï¿½ Shoeteï¿½ which was to give the building its original name of ï¿½ The Fountainï¿½ from which it was known for centuries. As with all buildings in the village, the famous local historian, Reginald Pavey was able to see the original deeds, and it is his notes that have helped with this history. He records that the earliest document refers to it being owned by Edward Limbry in 1575. This family were very important and their name appears a number of times in the detailed Rent book produced in 1539 for Sir William Petre on his purchase of the village, which is now held in Devon Record Office in Exeter. 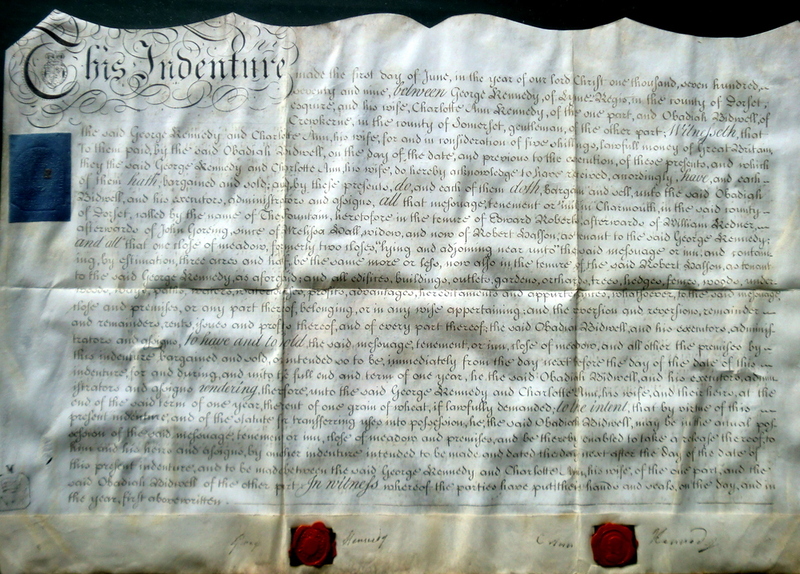 Sir William and his son John Petre are shown to give 1000 year leases to a number of properties in the village including the Elms, whose original deeds still exist. 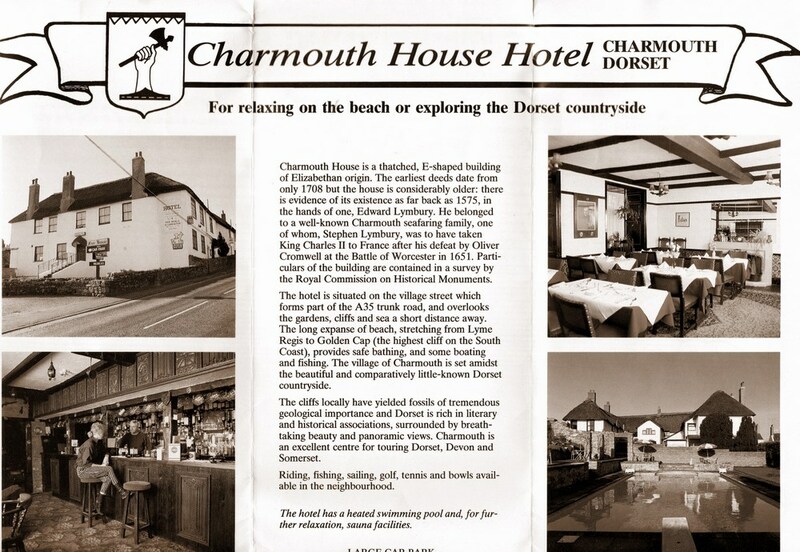 Charmouth House must have been under the ownership of the Manor for in 1764 there is a reference to ï¿½the remainder of a 1000 year leaseï¿½ , when the property is sold. 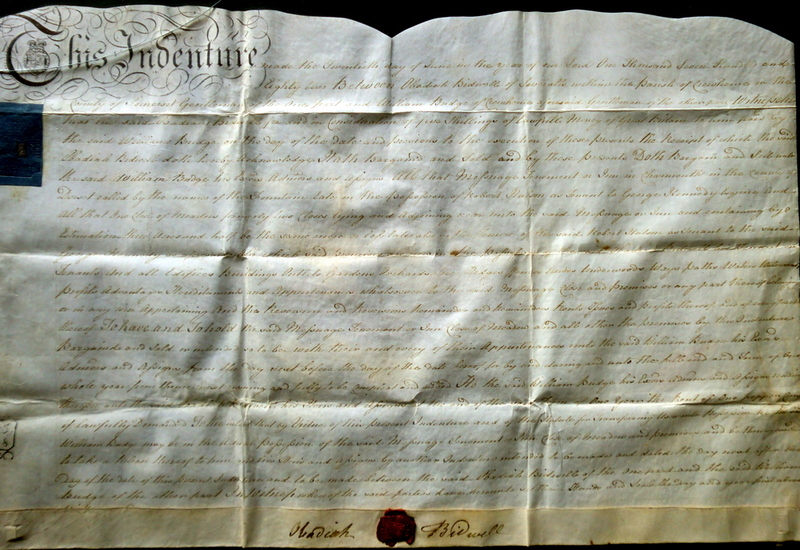 There is also a deed relating to an adjoining property that was let by Edward Limbry from Sir John Petre. Almost all the lands south of the Street remained with the Lords of the Manor for centuries. But the deeds show that as well as the 3 ½ acres adjoining Charmouth House it possessed over 60 acres of lands between Higher Sea Lane and Old Lyme Road which were eventually sold off in the 18 th century. The Hearth Tax returns for 1663 show the ownership of all the dwellings in the village that had fireplaces. It reveals the largest being the Manor House (6) where William Ellesden resided, but after him was William Lymbry (4) who would have owned Charmouth House. It was his relation Stephen Lymbry with just 1 hearth who was to make his name in history by attempting to sail the future King Charles II across to France in 1651, but was prevented carrying it out by his wife who locked him in a cupboard after finding out about the plan. 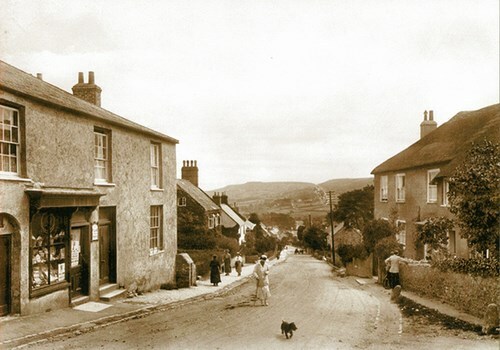 The Lymbrys were the leading family in Charmouth during the 17 th century and there are many mentions of the family in lawsuits, wills and title deeds of the times. I have combed the archives, documents and books trying to get early references to the house, especially its role as an Inn. I struck gold reading through the many pages of a court case from 1682 when the Limbrys were fighting the Edwardes over property ownership. Within it were the description of a meeting at ï¿½ï¿½Mr. 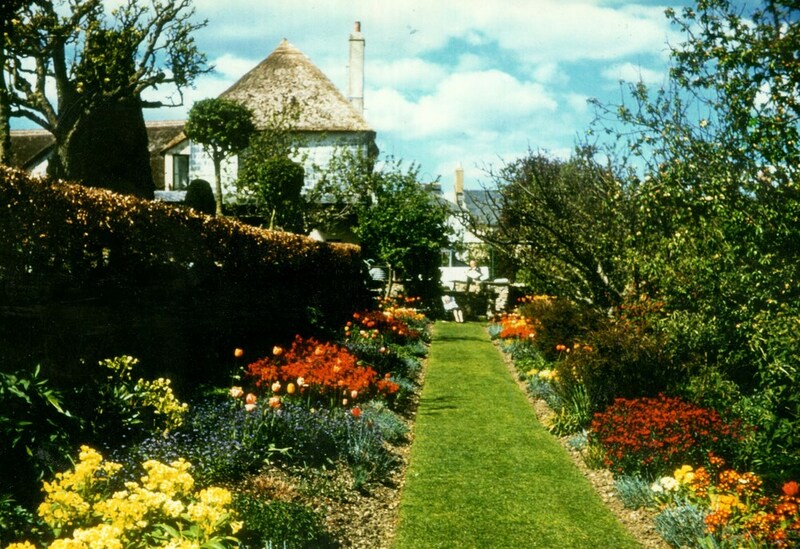 Robert Shute`s House being the signe of the Fountaine in Charmouthï¿½ . It revealed that though The Limbrys still owned it, they were leasing it to Robert Shute, which confirmed its role probably right back to the days of the Monks as being an Inn. The case also refers to William Limbry being the son of Edward Limbry whose own father was also named Edward Limbry who appears on the earliest deeds to the house. 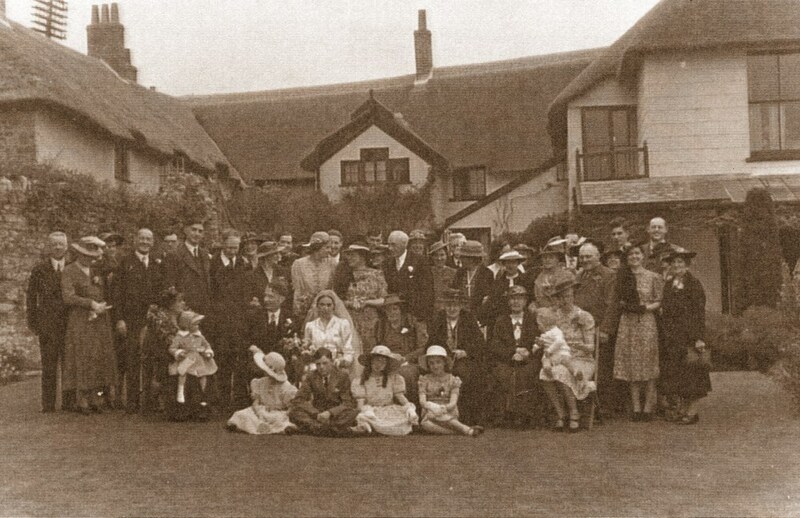 The next important family to own the Fountain were the Burridges, who were Mariners and featured prominently in the history of neighbouring Lyme Regis. They were to become Mayors and Members of Parliament for the town. A lasting memorial is the large black slab recording various members in the entrance to the Church including Robert and his sons John and Robert. 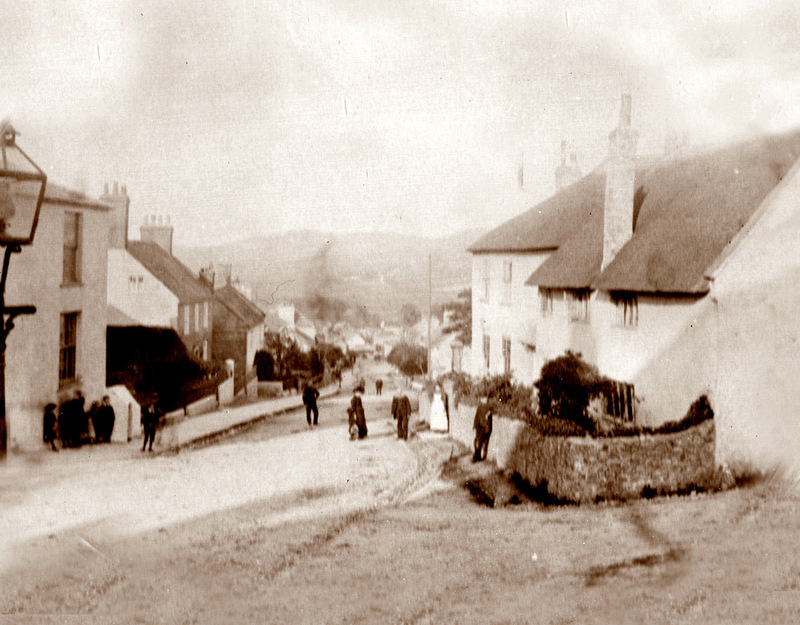 In 1654 John Lush marries Joan Lymbry at Charmouth, whose descendant Arthur Lush, a shoemaker is shown as the owner in 1689. The following year he in turn sells it to Robert Burridge of Lyme Regis. The family were Dissenting Merchants and though Robert was removed as Mayor in 1684, they held the office 7 times between and his brother John was M.P. for Lyme Regis in 1689. The Burridges traded with Virginia and Barbados during this time and their large accounts book for their many trips can still be seen in the Dorset Record Office. By the 18 th Century the family were involved with the Slave Trade. 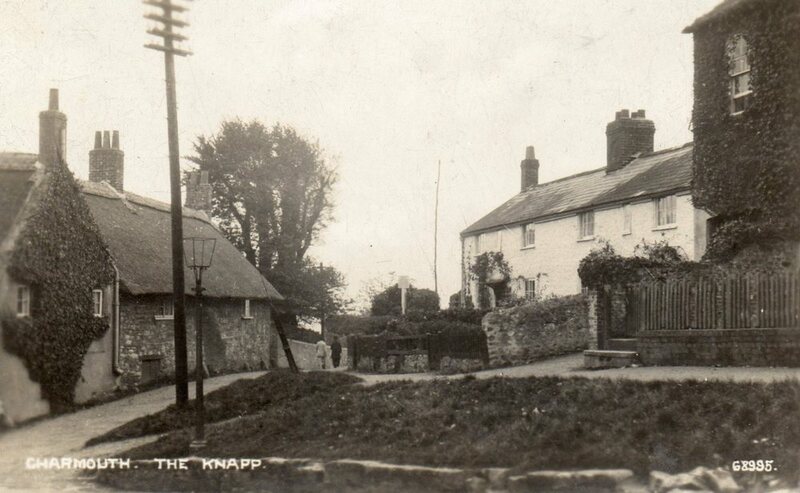 They were to live in a large House on Broad Street in Lyme Regis and let the Fountain Inn to various tenants. 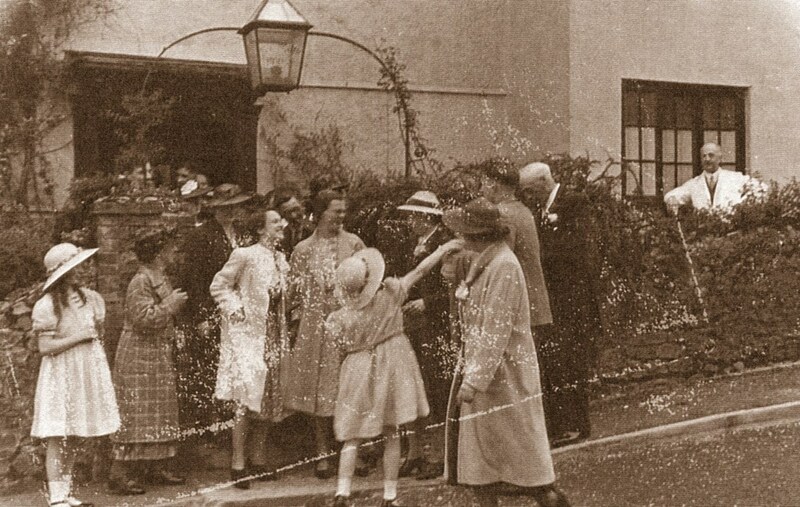 The Deeds to Charmouth House show Robert leaving the Inn to his sons Robert and John. When Robert Burridge dies in 1742 it is his granddaughter,Elizabeth who inherits much of his large Estate. She is shown as marrying Francis Folaquier a Merchant from Taunton at Lyme Regis in 1734. They continue renting the Fountain and other properties in Charmouth to various tenants. 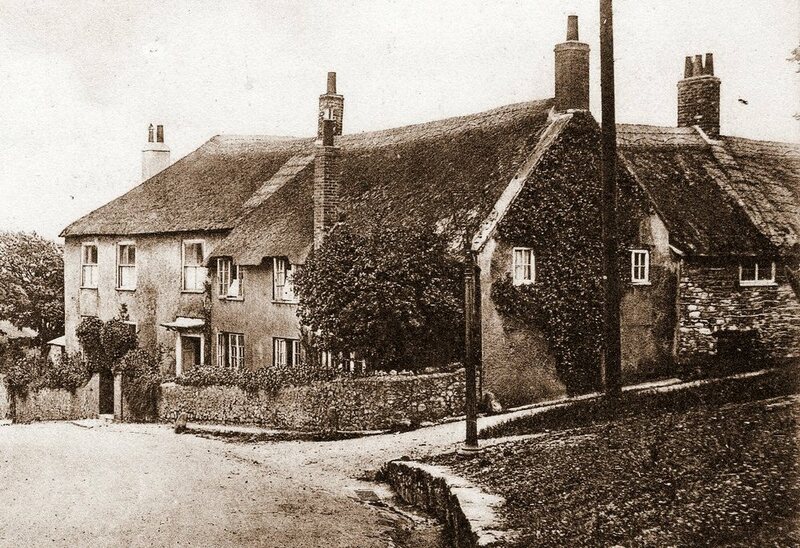 In 1741 Elizabeth dies and is buried at Taunton and in due course her husband disposes of the Charmouth properties. Benjamin Bradford purchases some buildings and 60 acres of lands that were formerly part of the Charmouth House Estate in 1753. 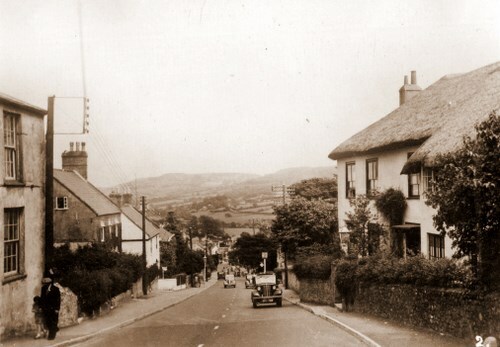 In the same year the Poor Rates for Charmouth show that Mr John Goring is paying 2s. 5d for the property, secondly only to John Henvill, who is the Lord of the Manor. There is believed to have been an extensive fire about this time, traces of which could still be seen during the recent alterations. 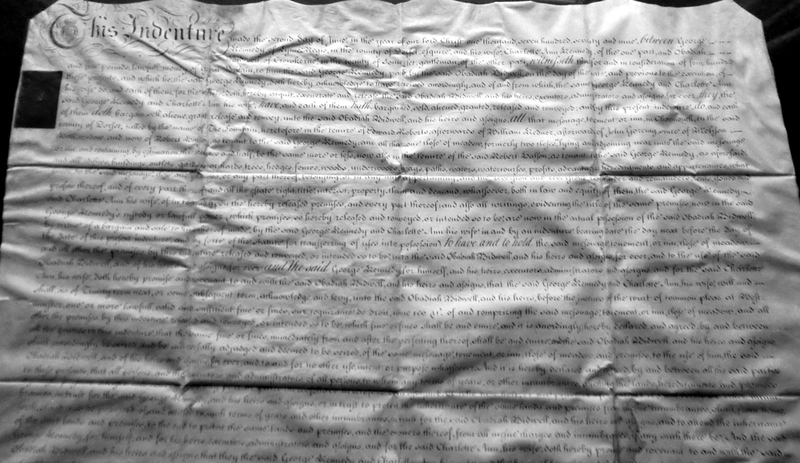 Francis Ffolaquier in 1764 gives the remainder of a lease of 1000 years to John Goring who is described as an Innholder.. John Goring then sublets to Walter Oke of Axmouth. 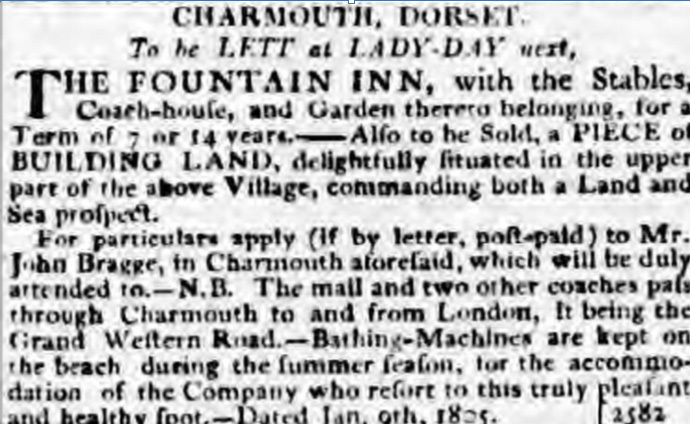 Finally in 1770 the Burridges long 80 year ownership of the freehold of the Fountain comes to an end when Francis Folaquier sells the Inn with 3 ½ acres of Land to George Kennedy of Lyme Regis. The following year Francis dies and is buried with his wife at Taunton. Three years later he sells it on to Obadiah Bidwell, the original document of which now hangs in the Pavey Room at The Elms. It details that George Kennedy of Lyme Regis, Charlotte Anne, his wife and Obadiah Bidwell of Crewkerne paid £400 in the Tenure of Edward Roberts, afterward William Rednor, afterwards of John Goring since of Melissa Wall, widow now of Robert Halson as tenant to George Kennedy and that Meadow, formerly 2 in the tenure of Robert Halson. The original advertisement from the Sherborne and Yeovil Mercury for 1774 can still be seen in the Dorset Record Office. The Land Tax records then show him letting to a number of tenants including Thomas Aldridge, Jacob Rogers and James Bradbeer. By 1793 his son Thomas Bidwell has inherited the Fountain, but is financial trouble and a number of references to mortgages are shown on the deeds including Thomas Collins of Chard. In the year 1805, the property is shown as empty in the Poor Rates. But the following year George Harvey takes over the tenancy until it is sold in 1811. 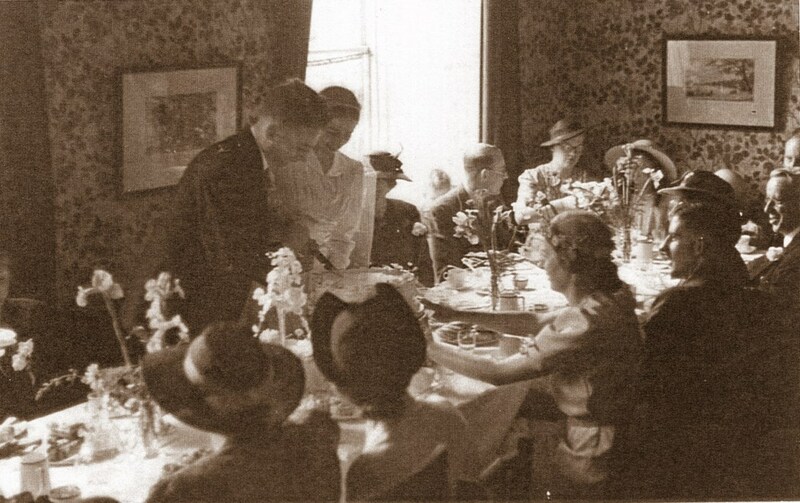 The fortunes of the Inn were to change dramatically in that year when Thomas Gordon bought the property and its grounds. He was also the owner Middleton Court at Huish Chamflower in Somerset. The 1851 Census shows him aged 91 living with his wife, Jane and three servants at the property. Though for a while, part of it continues to be run as an inn by George Diment, who when he died in 1858 is described in his obituary as ï¿½the respected landlord of the Fountain Inn for many yearsï¿½. In St Andrews Church as with many of the important families that feature in the village history can be seen a memorial to Thomas Gordon and his wife. He lived to the magnificent age of 95 and died in 1855, the same year as his wife. They were to leave the house and lands to their nieces Mariane and Louise Power Short who lived in Exmouth. It was during their ownership that a slice of the Fountain Mead, the field alongside the house was sold to Mrs Stuart who lived opposite at the Court so she could keep her view out to Sea. In 1873 Marianne died and her sister decided to place the House up for sale. We are fortunate in that a copy of the detailed Auction Catalogue has survived in Dorset Record Office thanks to Reg. Pavey. 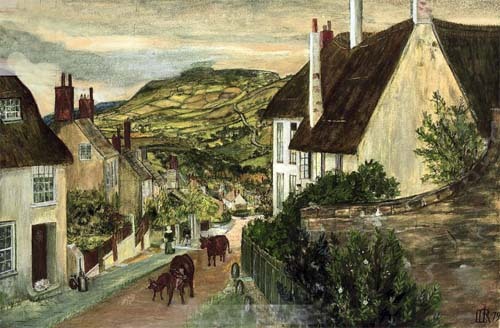 The successful purchaser is George Holly, the landlord of the Coach and Horse situated next to the Church in the Street. 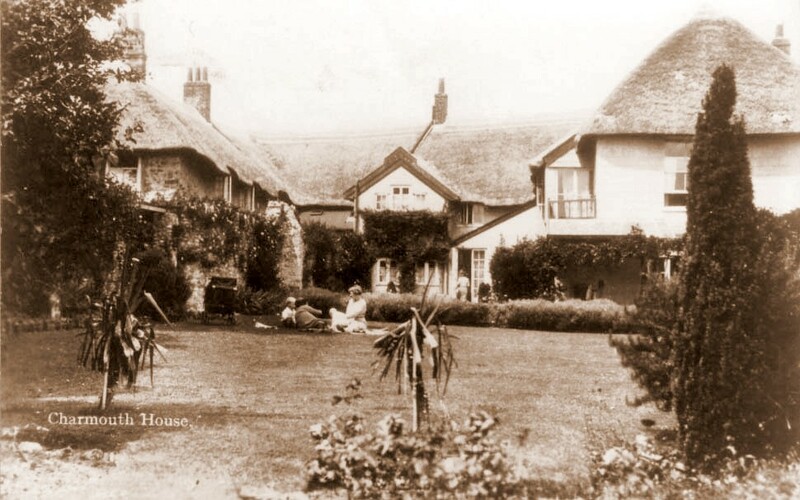 When the latter is partially destroyed in 1882 when the thatched roof ignites, he decides to give up the tenancy whilst it is rebuilt and continues to run Charmouth House as a Hotel again. On his death in 1886 the property reverts back to private ownership. It is only through Censuses and Electoral Rolls that I am able to build up a picture of ownership at the turn of the 19 th century. No doubt in time more will come to light about these families. For in 1901 Agnes Leith, then aged 70 is living there with her daughter Matilda aged 28. But by the time of the next Census, ten years later, John, aged 65 and Isabel Reid, 56 are residing in the house with his children Mildred and John. By 1922 Frederick and Maria Marter are briefly living in the house. Four years later it is John and Katherine Cresswell who are shown as occupying it. But in 1929 Katherine is the sole occupant and she in turn sells it to George and Eliza Lillie who were to live there until 1940. Robert and Gwendoline Ransford and their family then purchased it. This was during the war and Robert is shown in then Electoral Roll as serving abroad during this time. 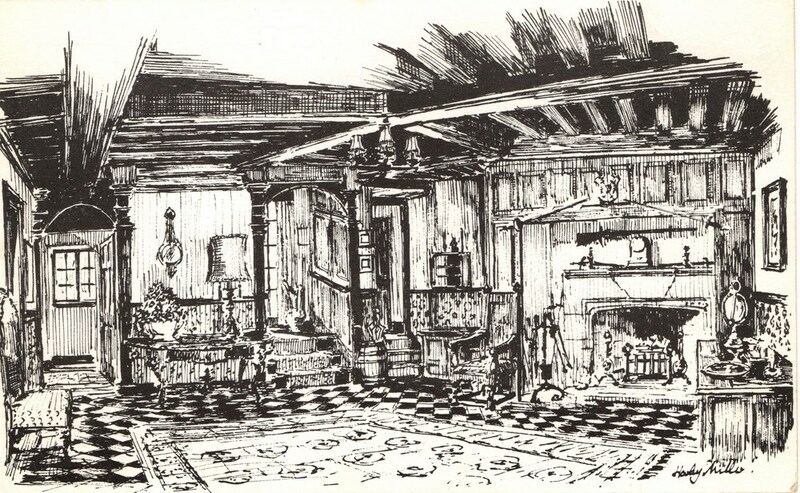 The family's time at the house and their transformation into a hotel is detailed by the son, Neil in the Spring 2004 issue of The Ville Echo. In 1965, Geoffrey and Joyce Earl appear as the new owners of the Hotel. They run the business for almost a decade before selling it to Arthur Davy in 1971. With his wife Jean, Jeff Prosser (Jeans brother), wife Carol and respective families they obtained a full license and ran it as a hotel, bar and restaurant for a further12 years. It was then sold to John and Brenda Murray and close associate Jack Perry who ran it for a couple of years. They in turn sold it to Tony and Lila Batson who ran it for 10 years before being sold to Malcolm Wilson. The Hotel was sold a few years later to a developer from Weymouth who converted it to 4 separate dwellings in 2005. Today these are the Pump Room, Fountains Mead, No3 and 4 Charmouth House. 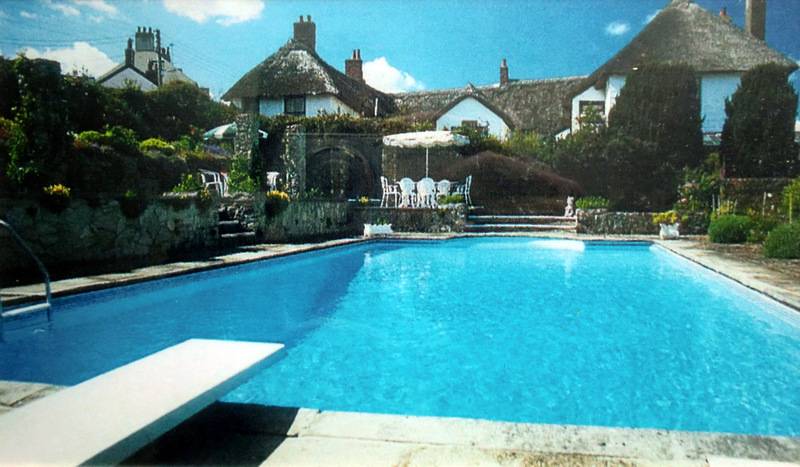 The Hotel's former Swimming Pool is now back to gardens and at the rear of this another property was built and more recently a further house was constructed in part of that garden. 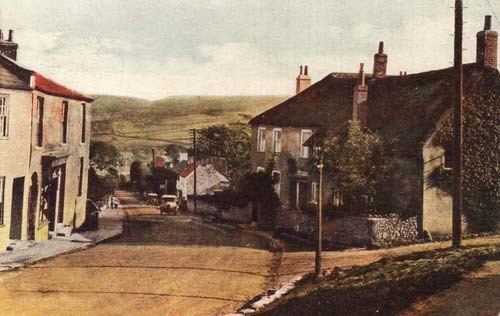 How times have changed when the ancient Fountain Inn was stood in over 4 acres of its own grounds. But we are fortunate today that the building we see is little changed from those great days in the history of the village when Charmouth was the focus for coaches travelling across country from London to Exeter. 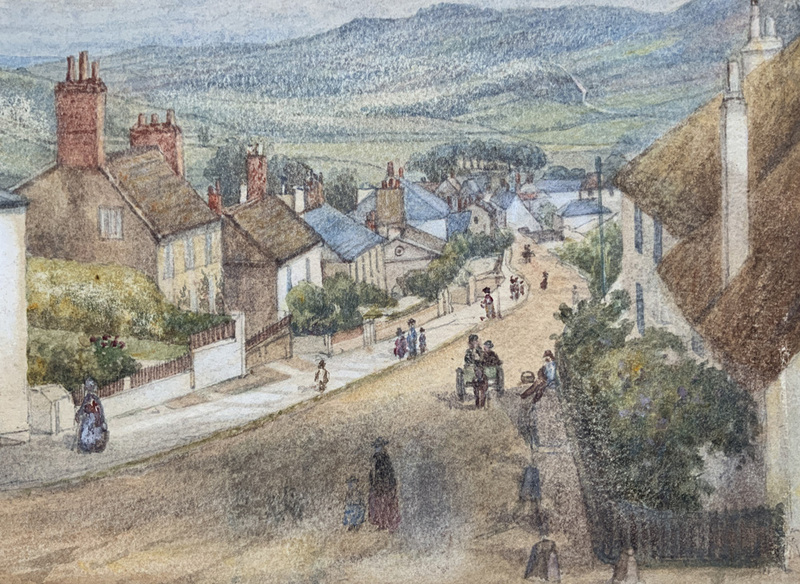 Charmouth House is shown on the right of this painting by Lucy Rossetti. Painted in 1878, it shows the Iron Railings which were later removed and replaced with the stone wall that still stands. 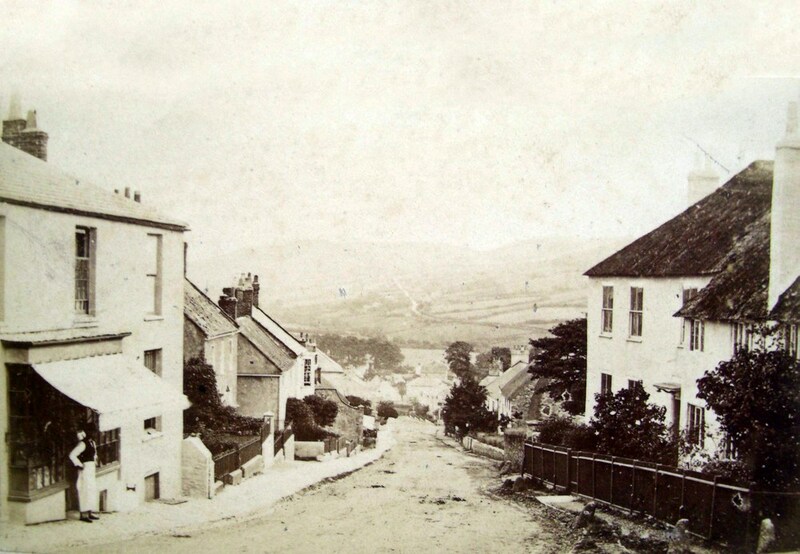 Charmouth House is shown on the right of this photograph,c.1870. I t shows the Iron Railings which were later removed and replaced with the stone wall that still stands. 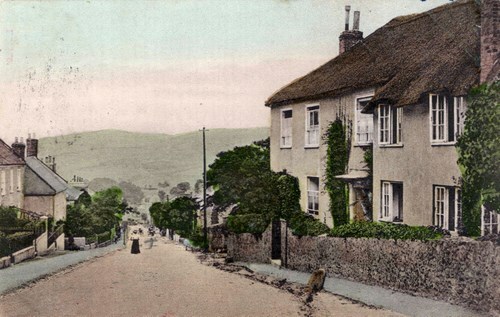 Mr Holly of the Coach and Horses Hotel has purchased the residence situated at the top of the village, known as Charmouth House, occupied some years ago by Squire Gordon, which the purchaser intends converting into a hotel. It is rather remarkable that the premises in by gone times was used for a similar purpose, the name of the hostelry being the Fountain, we understand that remnants of the ornaments a bunch of grapes which advertised the entrance 70 years ago are still hanging in one of the stables. As our readers are well aware Mr Holly, whose fame as a landlord is widespread, has occupied the Coach and Horses for a very long period, which dates back far into the coaching days of old. The premises mine host has now purchased are very pleasantly situated and exceedingly commodious. 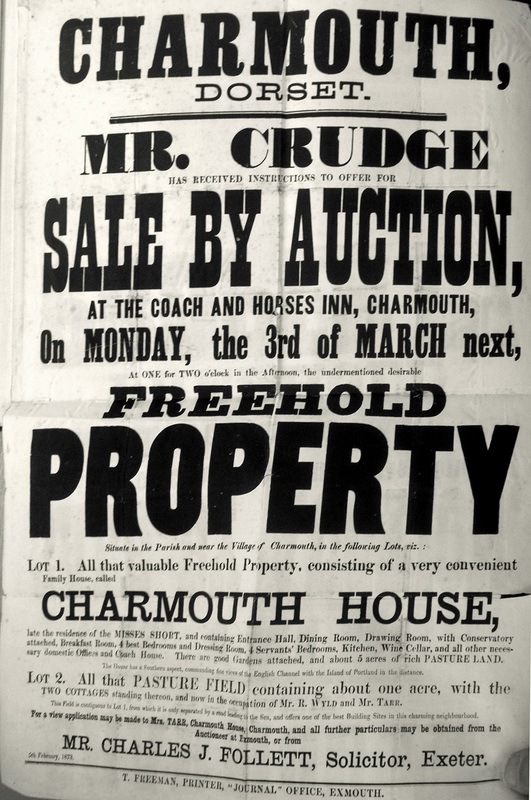 The cost of the property purchased by Mr Holly, which in addition to Charmouh House, consists of several cottages, and about 5 acres of land (including Fountain Mead is £1560. William Holly will be chiefly remembered by the present people of Charmouh as the late toastmaster and member of the Parish Council, but there are a few who can remember him as a young man driving the Axminster horse omnibus. 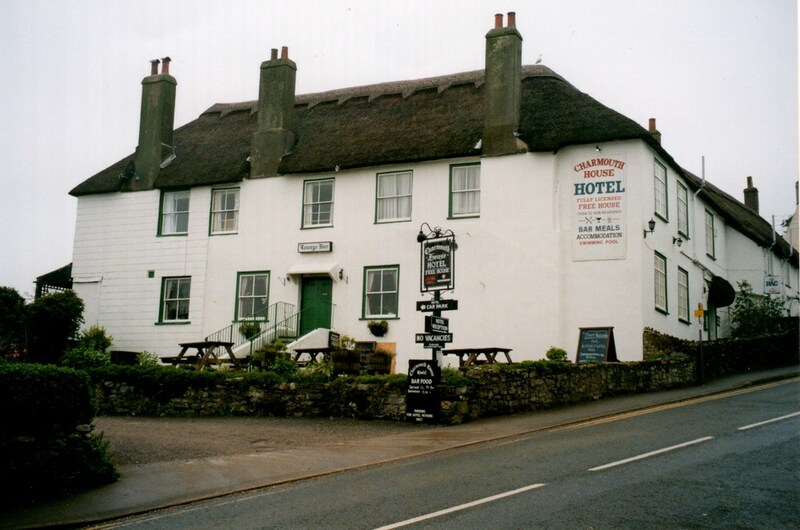 His grandfather, Gorge Holly, was landlord of the Old Coach and Horses, when it was thatched inn and only moved o Charmouth House when the owners decided to rebuild. 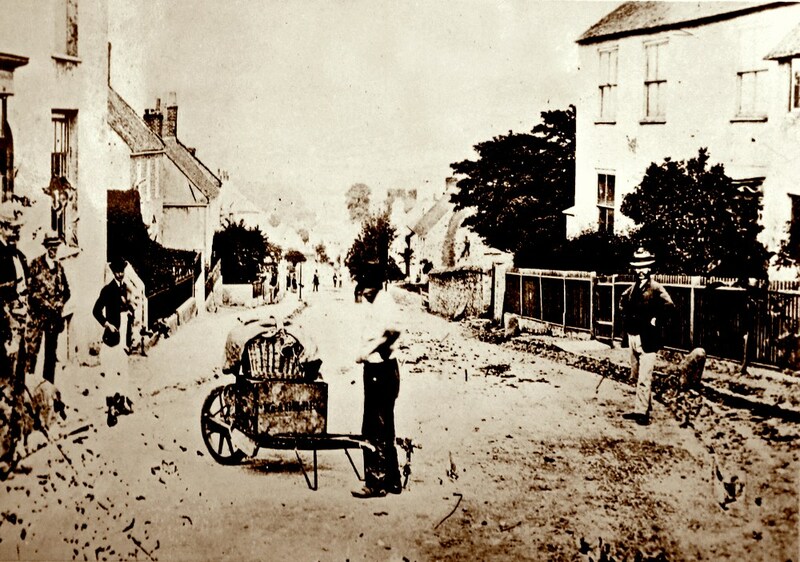 Charmouth House c.1870 with its Iron fence which was later replaced with a Stone wall.